Commonwealth Bank has announced a new appointment to their board of directors. Paul O’Malley formerly of BlueScope Steel, has been appointed as the bank’s independent non-executive director with effect as of the new year. 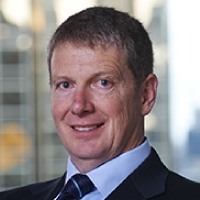 Mr O’Malley comes to the bank from BlueScope Steel where he was managing director and chief executive for a decade, as well as being the chief financial officer prior to that. The chair of the Commonwealth Bank of Australia, Catherine Livingstone made the announcement and said he would be a good addition to the team. “I am delighted to welcome Paul as a director of the bank. Paul’s broad operational and finance experience, as well as his business leadership, will bring a thoughtful and strategic perspective to the board,” she said. Brian Long, the current director, will remain on the board until the end of the calendar year and will retire inn December. Andrew Mohl will also retire from the board at the conclusion of the 2018 Annual General Meeting.